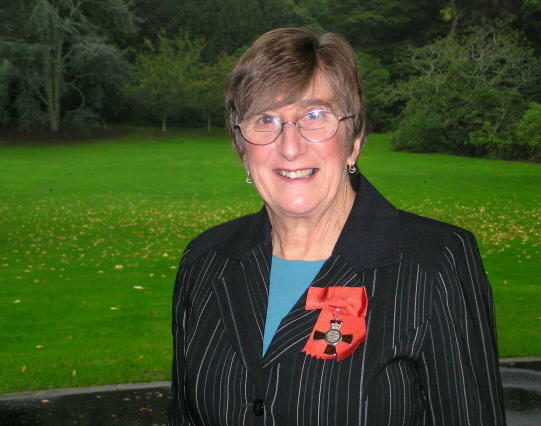 ANZMES (Associated New Zealand Myalgic Encephalopathy Society) is proud to acknowledge Dr Ros Vallings who has been made a Member of the New Zealand Order of Merit, MNZM in the 2008 New Years Honours. Dr Ros Vallings has been given the award for her voluntary work in both the local community and throughout New Zealand. The award is made with special recognition for her services to people with Myalgic Encephalopathy/Chronic Fatigue Syndrome (ME/CFS). Dr Vallings a general practitioner in Auckland since 1967 and New Zealand’s leading authority on ME/CFS, has organised her practice so that she mainly sees patients with ME/CFS and related disorders; and has seen over 3,000 patients with the illness, many of whom travel great distances to see her. General practitioners throughout New Zealand refer patients with ME/CFS to Dr Vallings because of her specialist knowledge in this area. In addition Dr Vallings has continued to serve the community in a number of roles, in a purely voluntary capacity. In the past these have included: Assistant Medical Director of the Auckland Family Planning Association; Medical Adviser to the Breast Cancer Support Service; Board member of the Macleans College; Member of the IACFS; Editorial board member of the International Journal of CFS; President of the NZ Society of Hypnosis and as Past President and current Medical Advisor to ANZMES.